Posted on 3rd September 2018 at 4:58 pm. 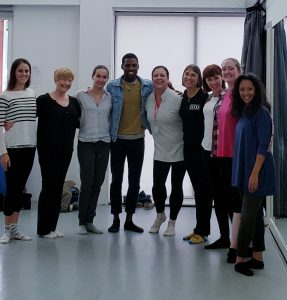 Earlier this year Co-Founders of SiDI Maggie Morris and Sonia Rafferty delivered three separate tutor training days to the ISTD tutors delivering their Safe Practice Unit for their new Level 4 teaching qualification. We are looking forward to continuing this positive collaborative partnership with the ISTD. Posted on 15th June 2017 at 2:18 pm. 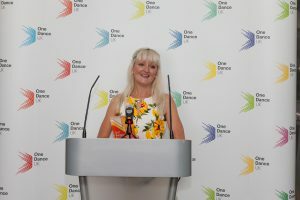 One Dance UK today announced the names of 27 shortlisted nominees, across nine award categories, for its inaugural Dance Teaching Awards. One Dance UK received 886 nominations from pupils, parents, colleagues and friends of hundreds of teachers, practitioners and dance organisations across the UK, that provide opportunities for children and young people to dance. We are very proud to have been asked to select the finalists in this ground-breaking first year of the One Dance UK Awards. We were overwhelmed by both the quantity and quality of the 886 nominations. They demonstrate just how important dance is in our schools and how keen the profession is to celebrate the many individuals and organisations who are using dance to transform the lives of young people. We are delighted to be able to recognise so many amazing people doing so much to communicate the inspiring power and relevance of dance across the UK. I’m delighted by the level of interest we have had in the Awards and see them as a key way for us to champion dance education and participation, particularly in challenging times for dance provision in school. The Awards have provided a wonderful opportunity for people to express their gratitude for the dance teachers, leaders and organisations that dedicate their time, energy and expertise into furthering opportunities for young people and we’re looking forward to celebrating with all the shortlisted nominees in July. 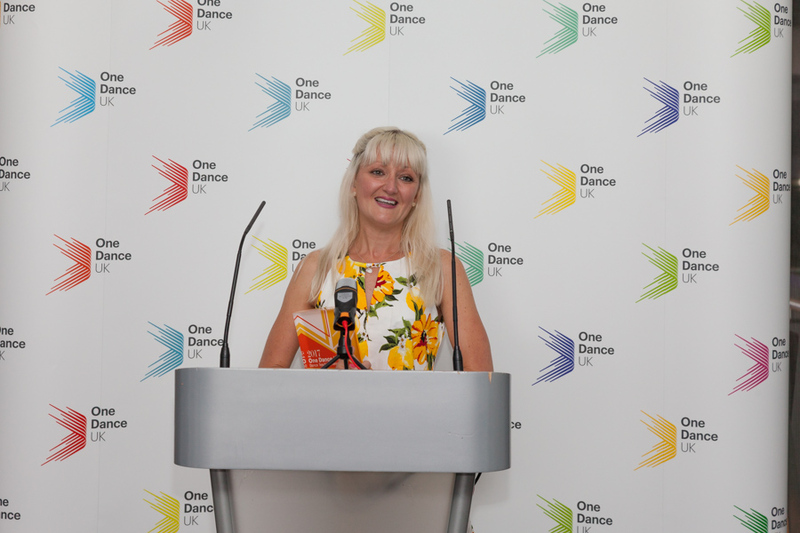 The winners of the One Dance UK Dance Teaching Awards will be announced at an afternoon tea and ceremony on Sunday 16 July at Birmingham Hippodrome on the final day of U.Dance Festival 2017. Posted on 22nd May 2017 at 11:04 am. Launching this week: Keep an eye out for the launch of our new online course; Preparing for Safer Dance Practice, which has been developed by us and in partnership with People dancing. Whatever your genre or style, this programme will support your practice and offer CPD that you can do from home. This programme is relevant to all dance practitioners world-wide. If delivers all the content for the Preparation for Healthy Dance Certificate, which offers 6 hours of CPD. Posted on 15th March 2017 at 8:13 pm. – Warm up first. Never stretch a cold muscle! – By warming up first, the delivery of oxygen and nutrients are increased thus preparing muscles for strenuous activity. – Warming up should not be too tiring, but just enough to begin perspiring. – Usually a light jog for 5-7 minutes is sufficient. Posted on 8th March 2017 at 6:00 pm. Dance Longer Dance Stronger announces the launch of a new app designed especially to enable performers to locate – at the touch of a button – a range of specialist healthcare and reliable resources, right across the UK. The Performers Health Hub app brings together the most up-to-date information about dance specific healthcare, both private and NHS, together with reliable, evidence-based resources in an easy to use format. 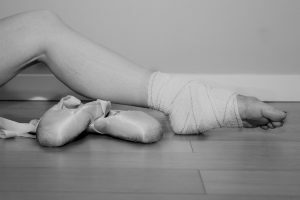 Around 80% of all dancers will suffer an injury each year through training, rehearsal of performance* or as a result of fatigue and overwork, insufficient warming-up or cooling-down, recurring injury or not being able to respond to the early warning signs of injury**. This is where the Performers Health Hub comes in. The app will house up-to-date information about specialist healthcare, and reliable, evidence-based resources on a range of health topics including fitness, first-aid for dancers, nutrition and hypermobility, and will take the user to the information they need via a few simple questions. Resources on the Performers Health Hub are drawn from a consortium of organisations at the forefront of dance medicine and science research and advocacy including National Institute of Dance Medicine and Science, One Dance UK, Safe in Dance International and British Association for Performing Arts Medicine and will be continually updated as research progresses. We are already looking to the future for the Performers Health Hub, with plans to add USA specific healthcare over the next 6 – 8 months and add further countries in future, allowing performers to refer to one app when on tour. To download the app please visit the Apple or Google stores. Disclaimer: The information on this app is not intended to diagnose an injury. If you are concerned about an injury please always consult a registered healthcare professional. To query any of the information highlighted in this app please contact the organisation or author directly. Posted on 17th February 2017 at 8:30 am. From the 13th March 2017 the first fully registered University Provider; Coleg Sir Gar in partnership with the University of Wales Trinity Saint David will be providing the Healthy Dancer Certificate as part of their BA Dance Course. The Healthy Dancer Certificate allows individual dancers, working in any genre or style to show how their own practice is informed by healthy dance principles. It deals with you as a dancer, in training or as a professional, maintain your unique dancing body in order to optimize your performance and minimise the risk of injury. You will increase your awareness of how the body works biomechanically to promote good alignment, discover how good injury awareness and management can help you to deal with injury, why proper nutrition and hydration is important for you to maintain health and performance while you dance and the impact of psychological factors that may influence or compromise your ability to work safely. Good luck to all students taking this module in March and we look forward to hearing how you all got on. Posted on 21st December 2016 at 11:00 am. 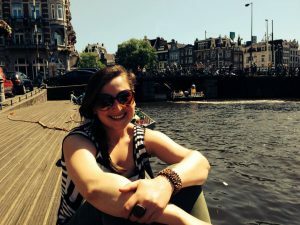 Hannah Etlin-Stein is a Toronto based dance science consultant, Pilates and Strength and Conditioning coach. She completed her BFA in Dance from York University in 2010, and following that taught dance technique and creative dance movement in a studio setting. 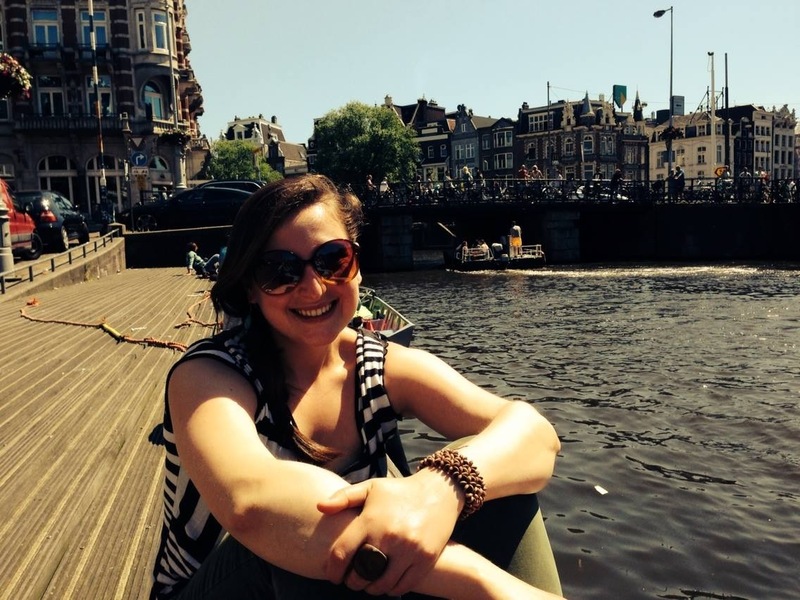 Hannah then completed a Masters degree in Dance Science from Trinity Laban. She has worked as an associate lecture at Buckinghamshire New University and Middlesex University and guest lectured at University of Roehampton and University of Suffolk. Hannah focuses her work on supplementary training for dancers and posture and alignment with a focus on the use of imagery and visualization. She has worked with athletes and dancers in the UK and Canada from recreational to professional levels developing training programs and corrective exercise programs to both manage and prevent injury, and optimize performance. Hannah is actively involved with the International Association for Dance Medicine and Science, and is currently the social media coordinator for Healthy Dancer Canada. Hannah is currently in her final term of study to become a Registered Massage Therapist from Sutherland-Chan School of Massage Therapy. She is currently planning courses in TORONTO. Welcome to the team Hannah. Posted on 2nd December 2016 at 5:58 pm. In the light of our new partnership with Healthy Dancer Canada and an increasing interest in our certification in France, we have translated our flyer into French and it is now available to download here. Thank you Agathe DuMont, our intern in 2015, who also helped us with this.